It was lovely to catch up with you today , I am really looking forward to tomorrow catch you up in London Town. What did I do today, well do you remember Girls at the bar, well today they came back, but I kept them at arm length. 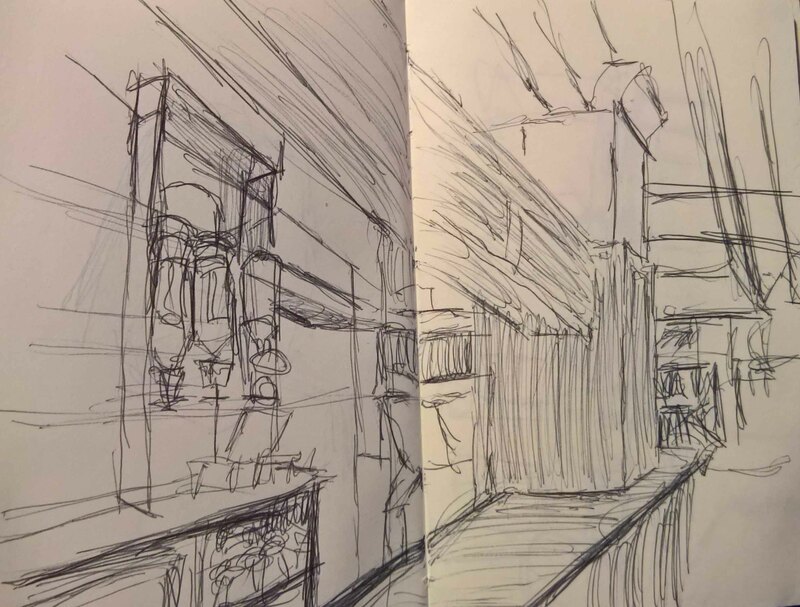 I did a tighter sketch of the bar, it wasn’t just an excuse to go to the pub it was serious research. I drew it up when I got home on graph paper this was something I picked up from looking at Bridget Riley’s sketches, she uses graph paper to plot out the twists in her ribbons. 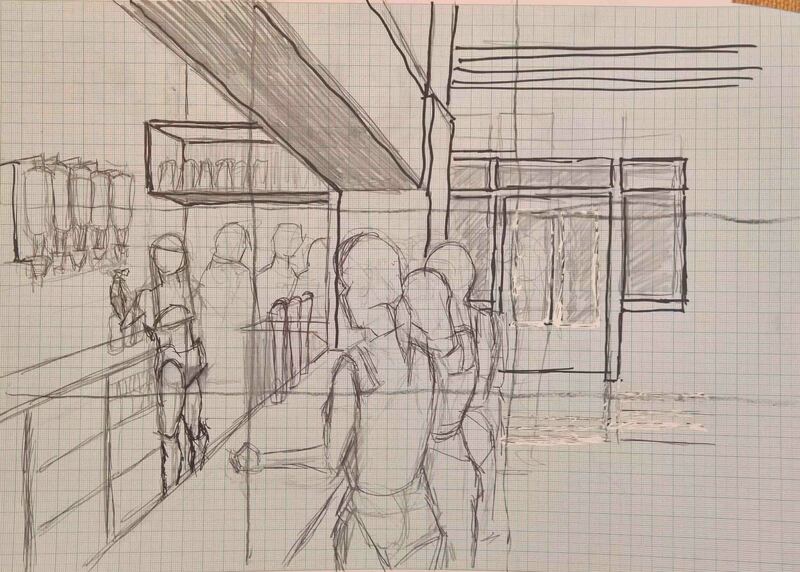 The graph paper is particularly good when you are doing a perspective drawings as it is easy to get the perspective right. 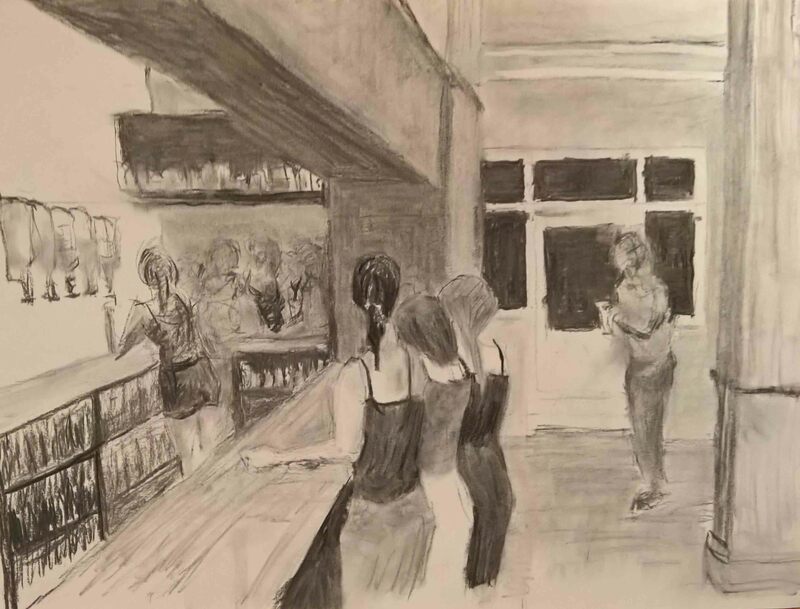 I put the barmaid in using my new Body Chan lay figure which is slowly teaching me better proportions and making me used to the way the light falls on a figure. 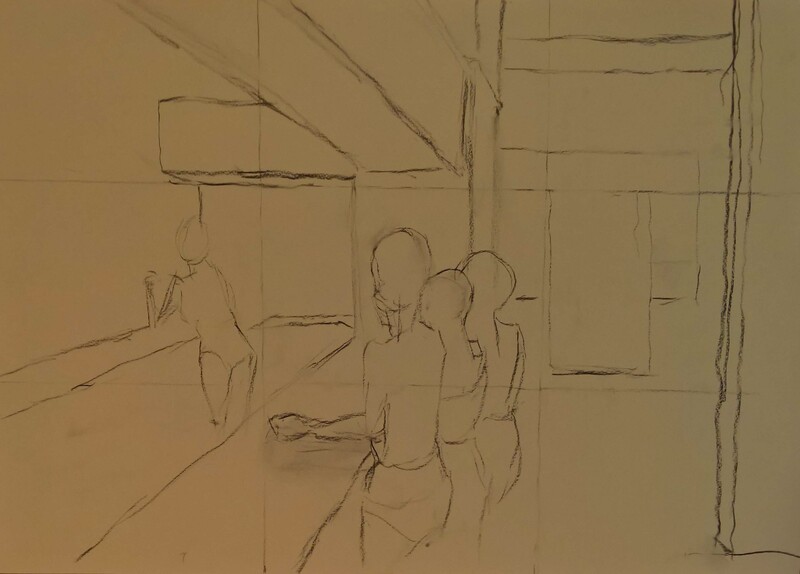 I split the study into 9 using two charcoal lines in each direction, I did the same to the sheet of A2 cartridge and drew in the composition working at arms length. I made the lone drinker up but he seems to fit even if he is a bit tall and I am becoming increasingly confident in my figures. How long did it take? a little less than a slow bottle of wine.